Can there be such a thing as too much of AMC’s ‘The Walking Dead‘? I think….it’s possible. 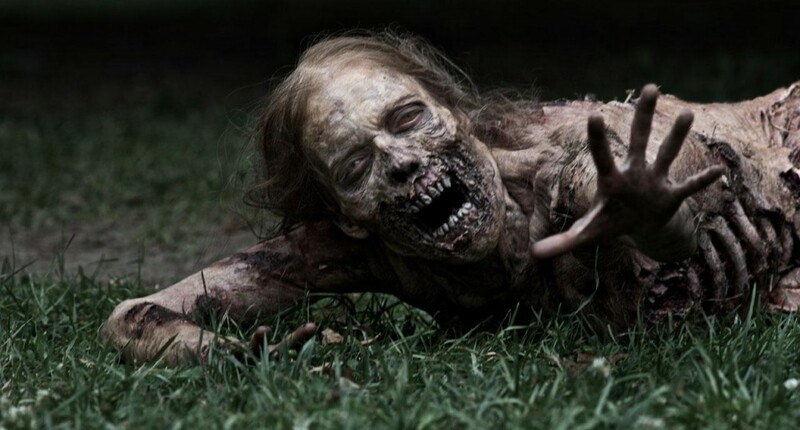 When I learned that AMC is expanding another successful series into a scripted franchise, I have to wonder if the shambling zombies can keep my attention. After giving the go-ahead last week to Better Call Saul, a spinoff series from Breaking Bad, the network just announced that it is in the initial stages of developing a companion series to the mega hit The Walking Dead. The new series is set to televise in 2015. It will be will be executive produced by The Walking Dead executive producers Robert Kirkman, Gale Anne Hurd and David Alpert for AMC Studios. Gale Anne Hurd is the standout among the three having learned directly at Roger Corman’s side. She has a laundry list of successful producing credits and quite a few writing credits to her name from ‘The Terminator‘ canon. And of course, Kirkman is the creator of all things ‘The Walking Dead‘. “Building on the success of the most popular show on television for adults 18-49 is literally a no-brainer,” said Charlie Collier, AMC’s president and general manager. He noted that the companion series will have “an entirely new story and cast of characters”. “It’s a big world and we can’t wait to give fans another unforgettable view of the zombie apocalypse,” he said. It’s the ‘no brainer’ bit that has me worried. There has to be a specific hook to grip your attention and keep you thirsty for more week after week. I don’t see where the story can go that we haven’t envisioned before. Please don’t give us another Lori/Rick/Shane-esque triangle. From Robert Kirkman, on whose comic The Walking Dead was based. “After 10 years of writing the comic book series and being so close to the debut of our fourth, and in my opinion, best season of the TV series, I couldn’t be more thrilled about getting the chance to create a new corner of The Walking Dead universe. The opportunity to make a show that isn’t tethered by the events of the comic book, and is truly a blank page, has set my creativity racing.” Can we all just look at the character of Daryl Dixon for a minute, he’s a new character for ‘The Walking Dead‘ that didn’t begin in the comic book. He’s also one of the most popular characters. I’m not sure if you can re-create the lightning that Norman Reedus brought to the show. Season 3 of The Walking Dead ranked as the top program on television (broadcast or cable) among adults 18-49. Season 4 kicks off October 13. Besides their scripted extensions, both The Walking Dead and Breaking Bad also spawned talk show companion series,Talking Dead and Talking Bad, respectively. Whatever your thoughts are on the new series, we’re living among the undead for many more years to come. This entry was posted on Monday, September 16th, 2013 at 9:06 pm	and is filed under Comics, News, Television. You can follow any responses to this entry through the RSS 2.0 feed. You can skip to the end and leave a response. Pinging is currently not allowed. « ‘Insidious 3’ Is Happening!! !